Throughout American History, music has influenced inspired and changed generations. The music of the era didn't just stir it created a defining moment and historic movement. The Civil Rights Movement placed a spotlight on the injustice done to African Americans and was a call to end racism in the United States. Fifty years ago on the steps of the Lincoln Memorial, Dr Martin Luther King Jr. delivered one of the most historic speeches in American History - a call to end injustice and inspire people to move towards freedom and equality. 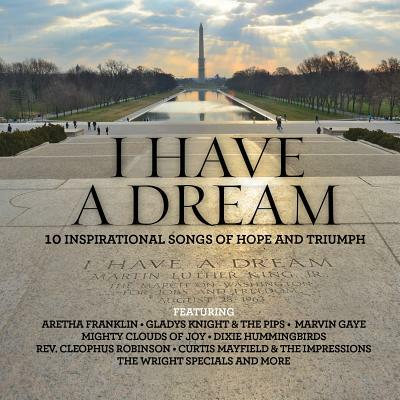 I Have A Dream is a compilation of inspirational songs that are an accompaniment to the era. We honour and recognise our past with songs of triumph hope and inspiration sung by some of the most recognizable voices of that time. 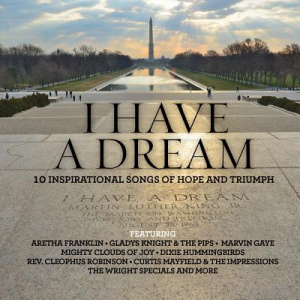 I Have A Dream CD by Various was published by EMI in July 2013 and is our 16071st best seller. The ISBN for I Have A Dream CD is 5099973074120. Be the first to review I Have A Dream CD! Got a question? No problem! Just click here to ask us about I Have A Dream CD.